University Physics is known for its uniquely broad, deep, and thoughtful set of worked examples–key tools for developing both physical understanding and problem-solving skills. The Thirteenth Edition revises all the Examples and Problem-Solving Strategies to be more concise and direct while maintaining the Twelfth Edition's consistent, structured approach and strong focus on modeling as well as math. 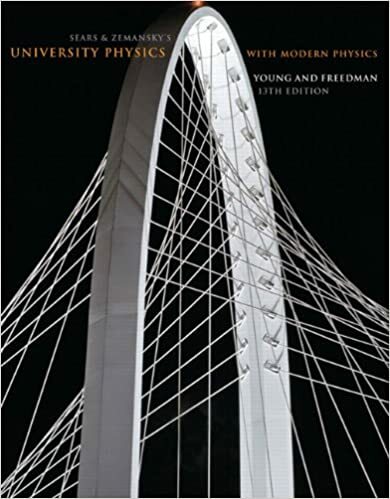 To help students tackle challenging as well as routine problems, the Thirteenth Edition adds Bridging Problems to each chapter, which pose a difficult, multiconcept problem and provide a skeleton solution guide in the form of questions and hints. The text's rich problem sets–developed and refined over six decades–are upgraded to include larger numbers of problems that are biomedically oriented or require calculus. The problem-set revision is driven by detailed student-performance data gathered nationally through MasteringPhysics®, making it possible to fine-tune the reliability, effectiveness, and difficulty of individual problems. Complementing the clear and accessible text, the figures use a simple graphic style that focuses on the physics. They also incorporate explanatory annotations–a technique demonstrated to enhance learning.